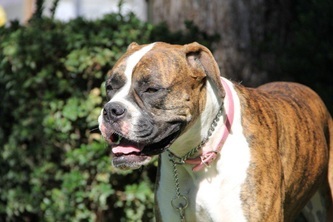 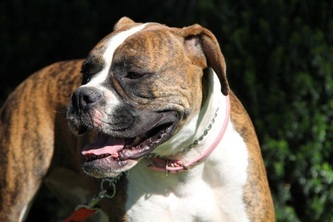 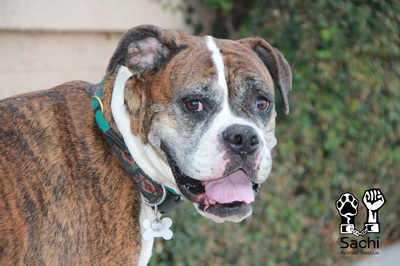 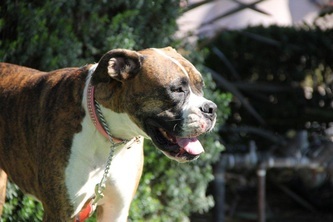 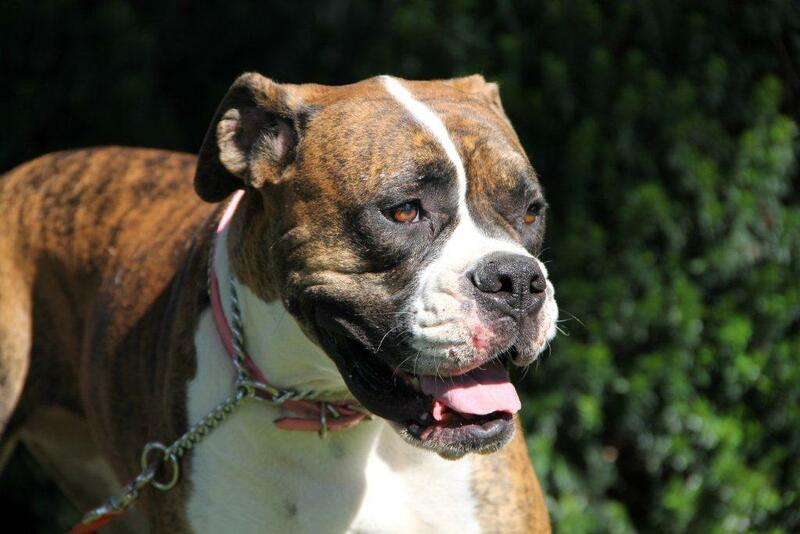 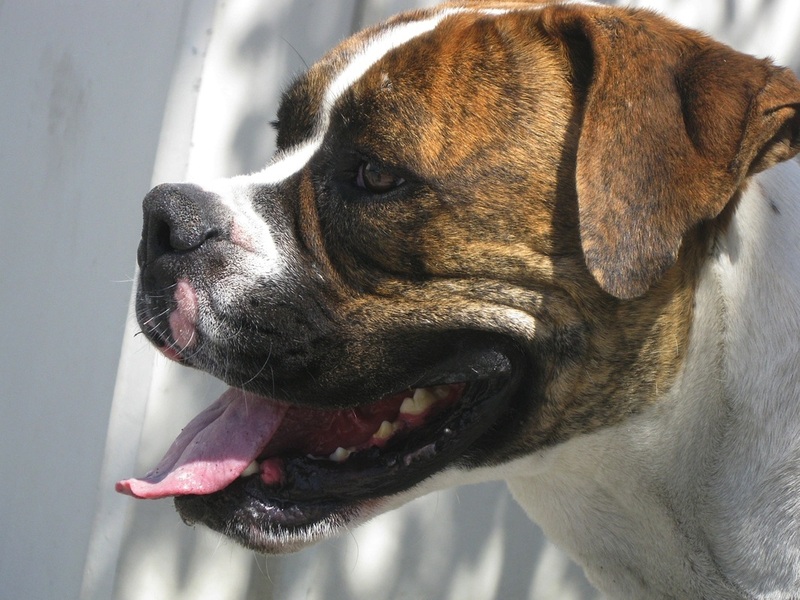 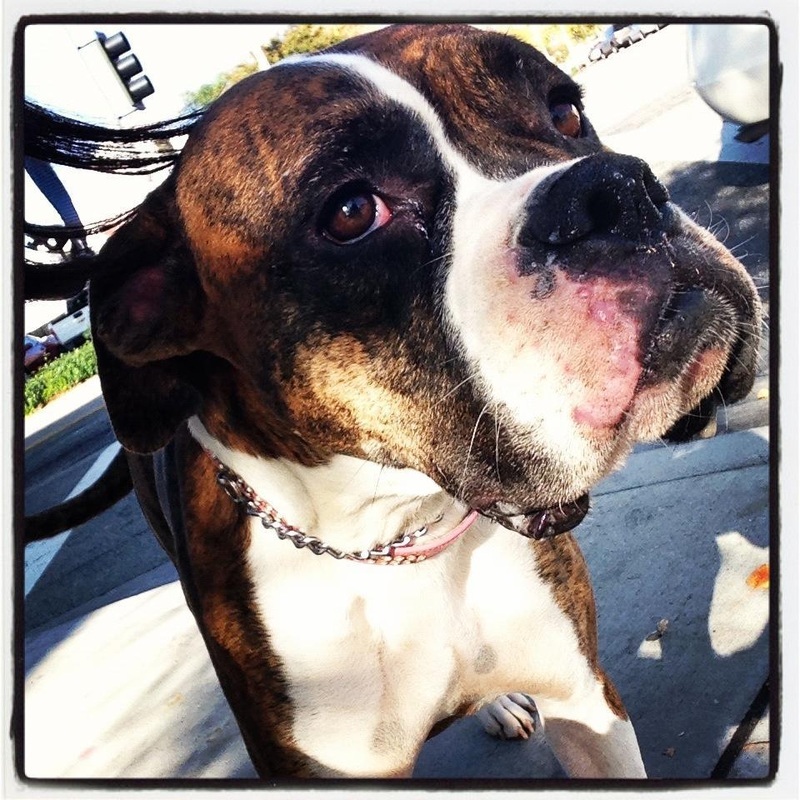 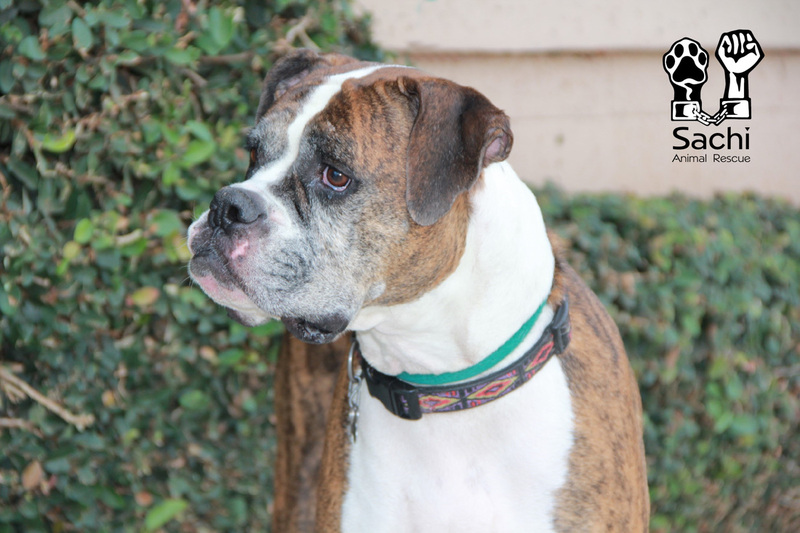 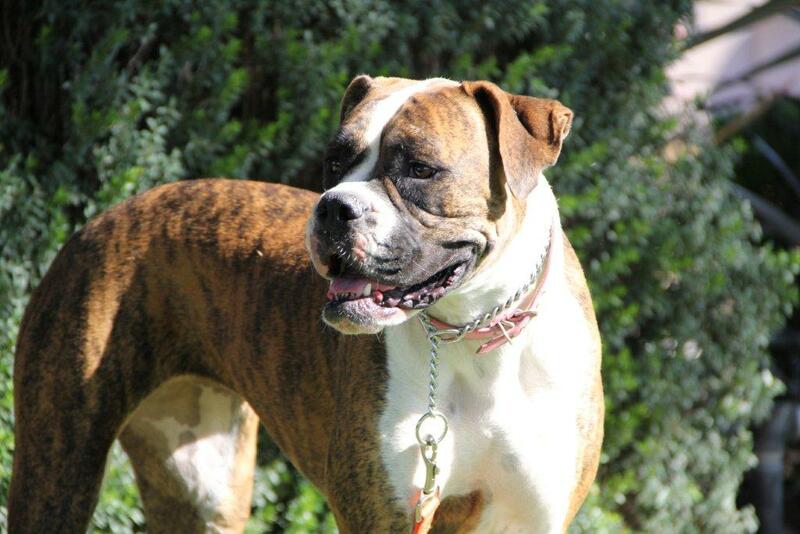 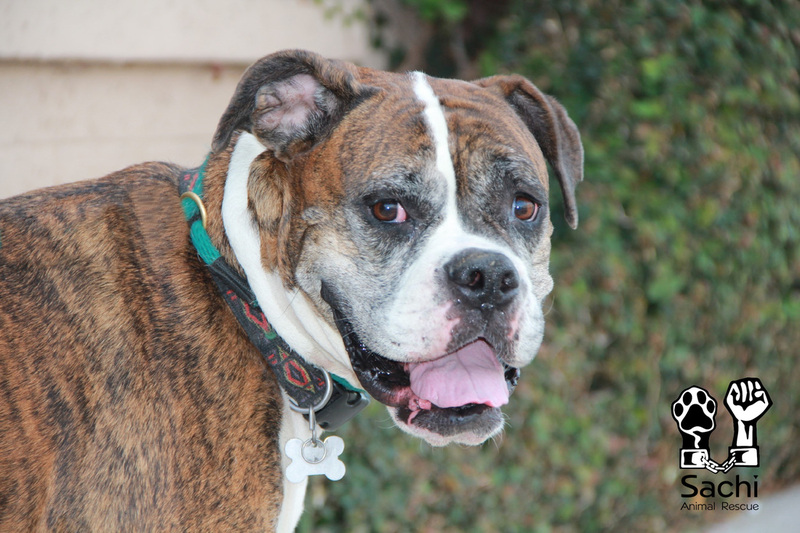 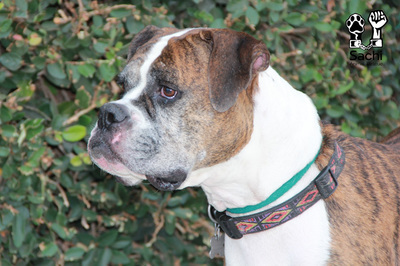 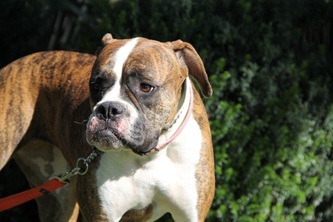 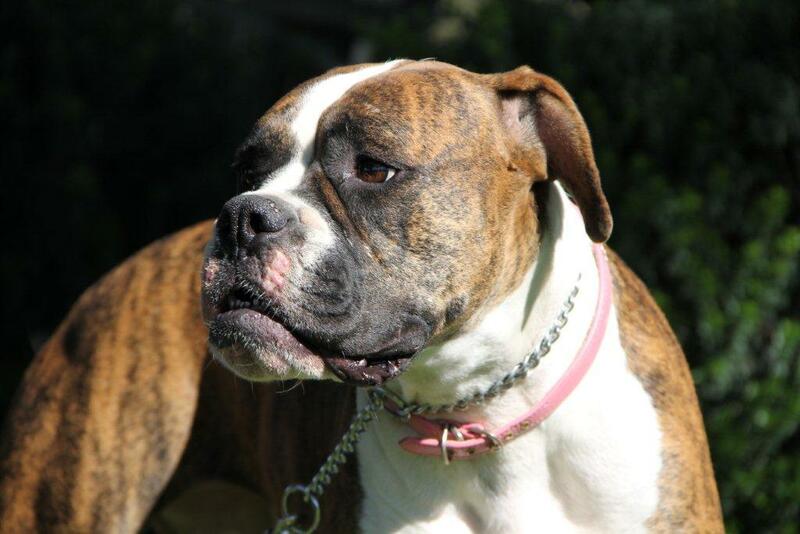 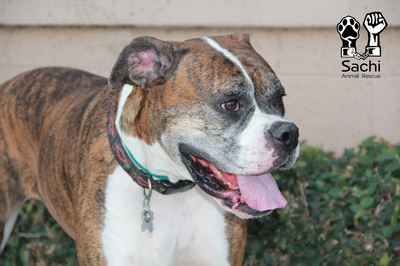 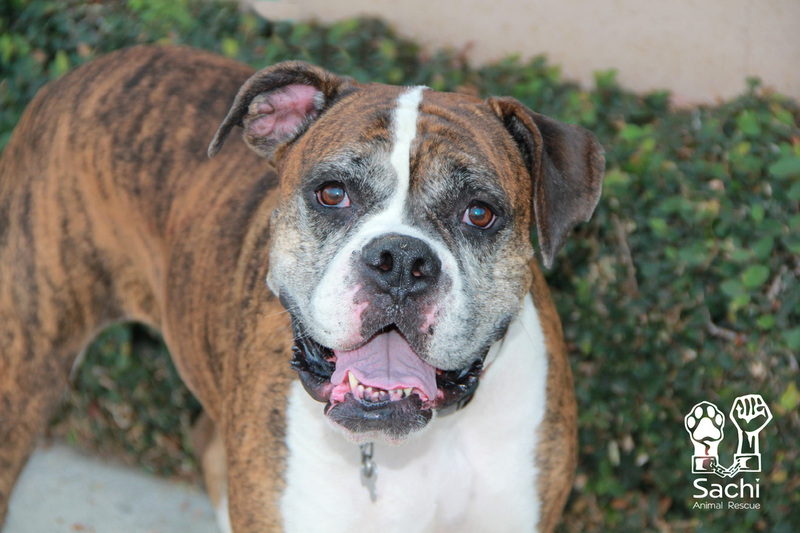 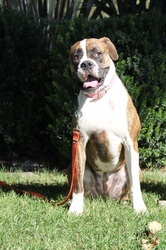 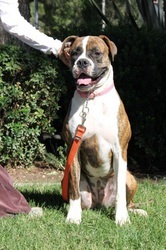 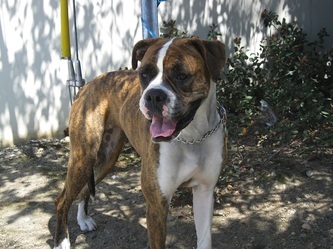 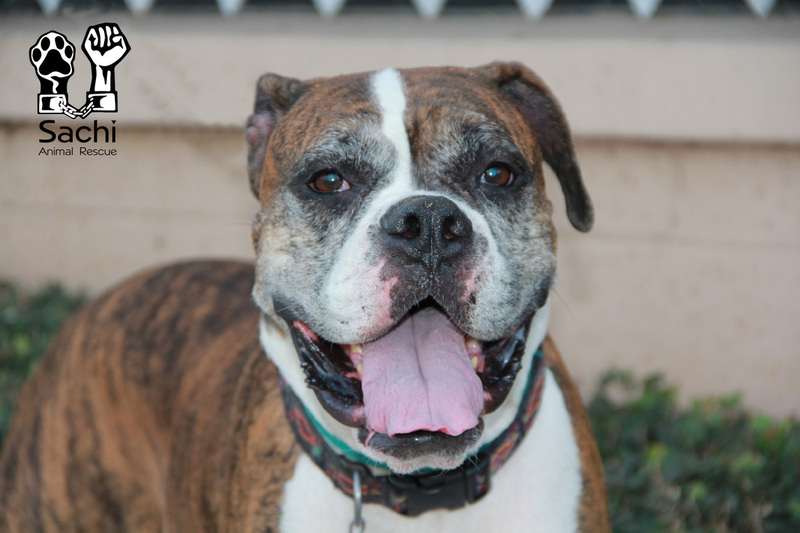 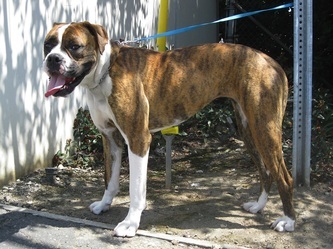 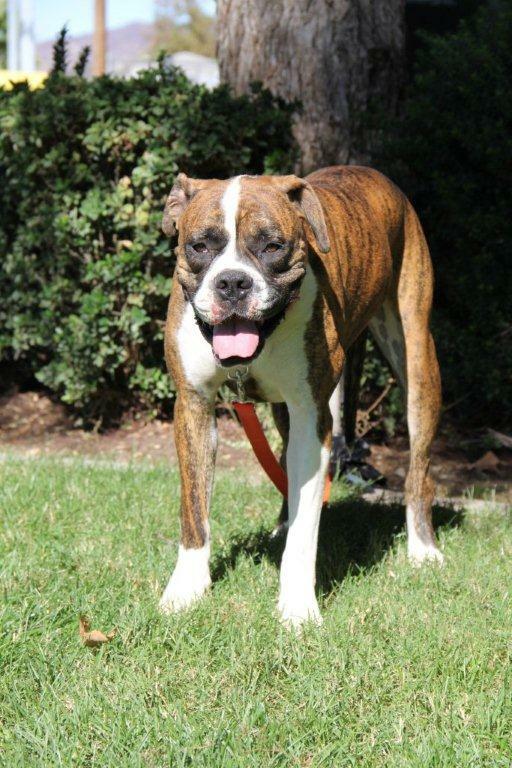 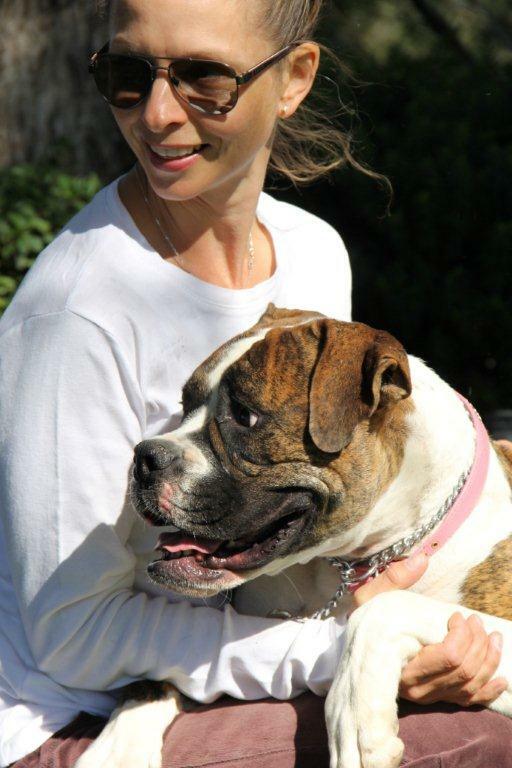 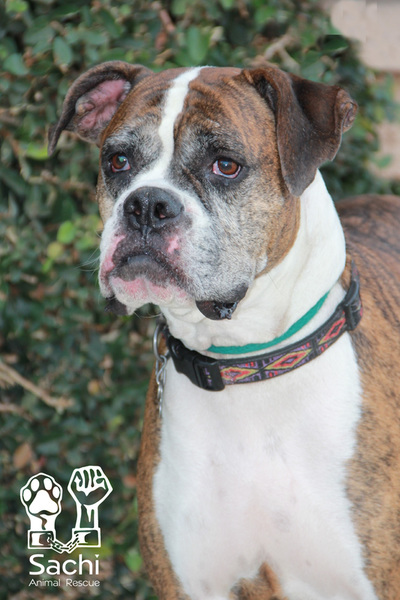 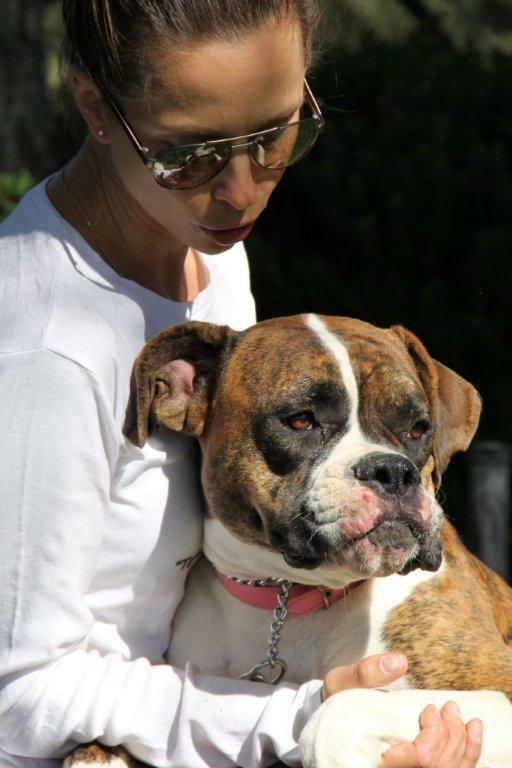 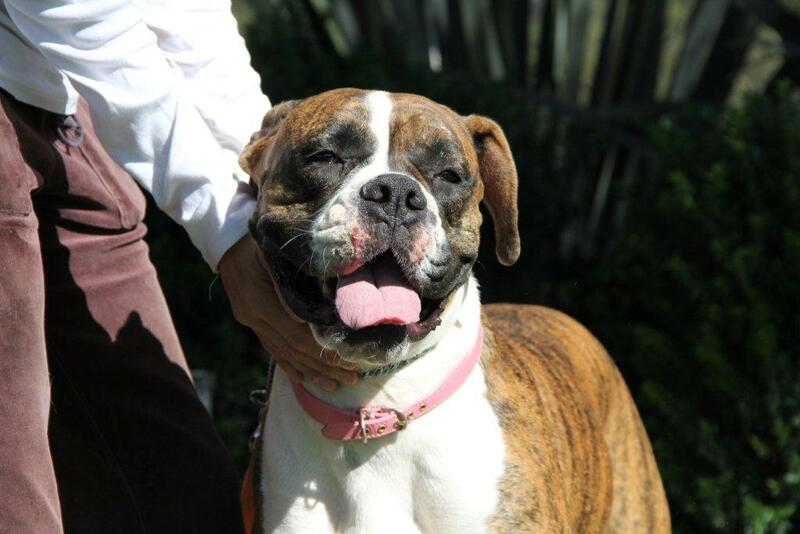 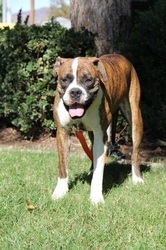 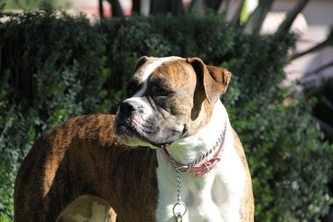 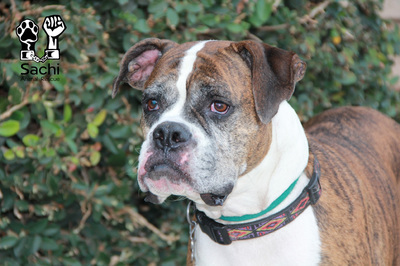 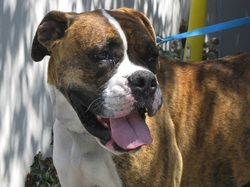 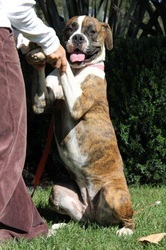 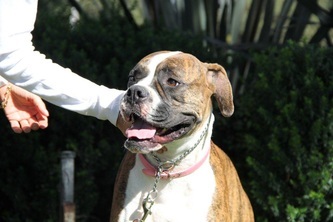 Zoey is a big-boned brindle beauty with a personality to match. She's outgoing , athletic and ready for a good time. 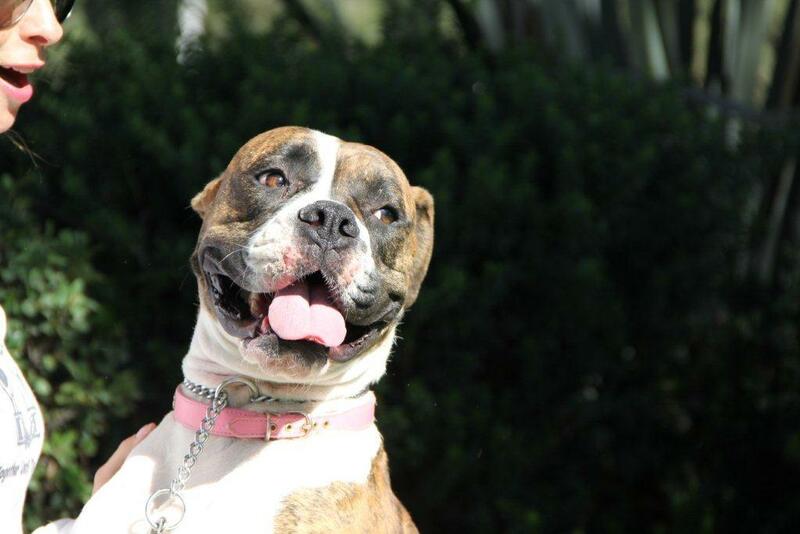 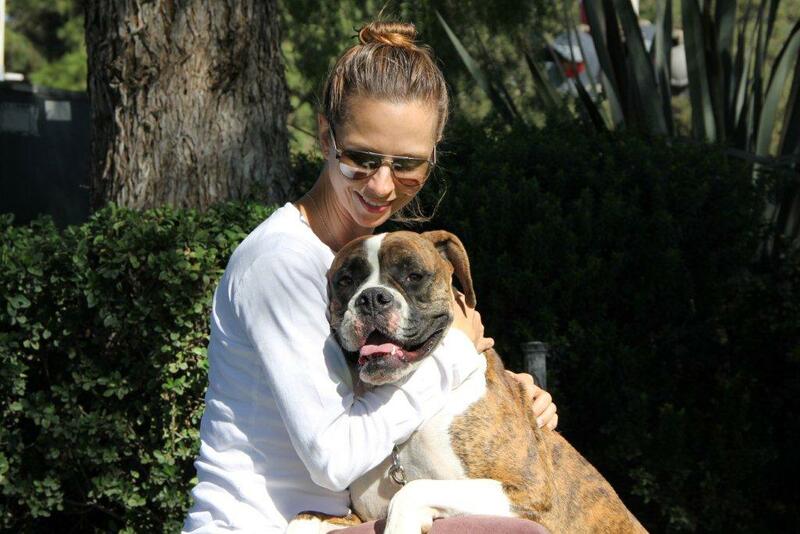 She's doing great with other pooches and becomes fast friends with everyone that she meets. She is very eager to please, so no obstacle is too great to overcome for Miss Zoey.